California has declared a State of Emergency for the Southern California Gas Company gas leak in Porter Ranch—the largest natural gas leak ever recorded, which has been going on since last year. What took so long? The gas leak, which has spewed 110,000 pounds of natural gas per hour since October 2015, caused thousands of residents to relocate after complaining about sore throats and headaches for months. While engineers still haven’t pinpointed the exact cause of the leak, aging infrastructure could be to blame. 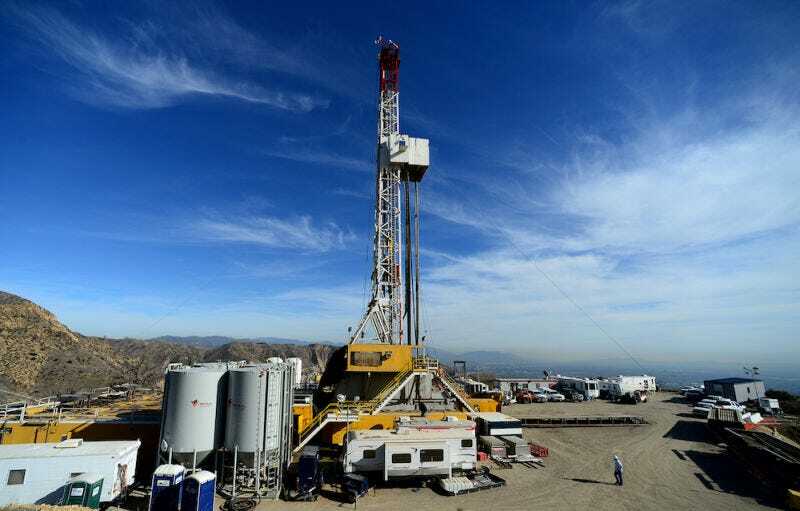 The Aliso Canyon Underground Storage Facility (where the leak took place) has lacked a crucial safety valve since 1979. Now that Gov. Jerry Brown has (finally!) made this declaration, it means that “all state agencies will utilize state personnel, equipment, and facilities to ensure a continuous and thorough state response to this incident,” according to a statement. By declaring an emergency, Brown is freeing up government resources to prioritize fixing the leak. It’s a positive step, but woefully overdue.